Learn how to combine the world of quilting with apparel sewing in this unique hands-on class. In this 2 hour class you will make a 6" quilt square block from vibrant and beautiful fabrics. Using the quilt block, you will then create a three tiered pocket. The pocket will be the feature detail of a simple 2 t elastic waist, gathered skirt. 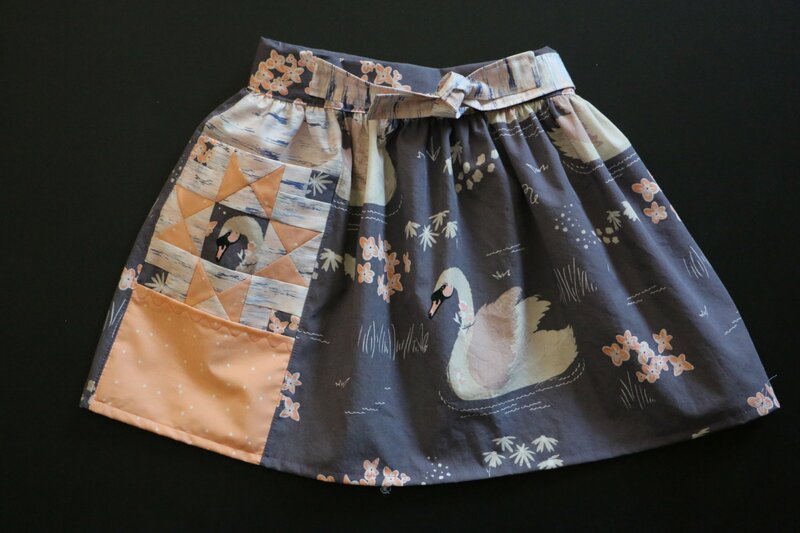 Take this skirt home to your favorite little lady or donate it to the ongoing charity event:"Skirting the Issue." You will also be inspired with multiple examples of how you can use quilt blocks to make one-of-a-kind garments when you return home.